Edited by Anthony Luvera and Maria Jastrzebska, Queer in Brighton explores the untold stories and experiences of lesbian, gay, bisexual and trans* people in Brighton & Hove, past and present. The culmination of intensive work by over 150 people who have come together to share stories, reminiscences, creative writing and photography, this publication is a unique celebration of the cultural heritage of queer Brighton. 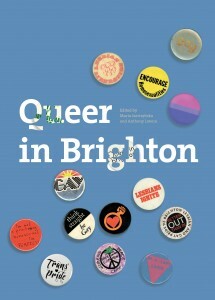 not going shopping is featured in Queer in Brighton. Published by Photoworks, New Writing South and Pink Fringe. Copies can be purchased online here.